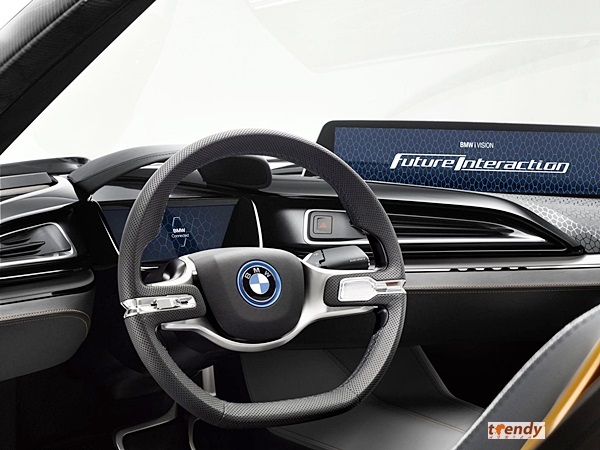 BMW i Vision Future Interaction – Concept Car provides an outlook on the networked cockpit and the user interface of the future. 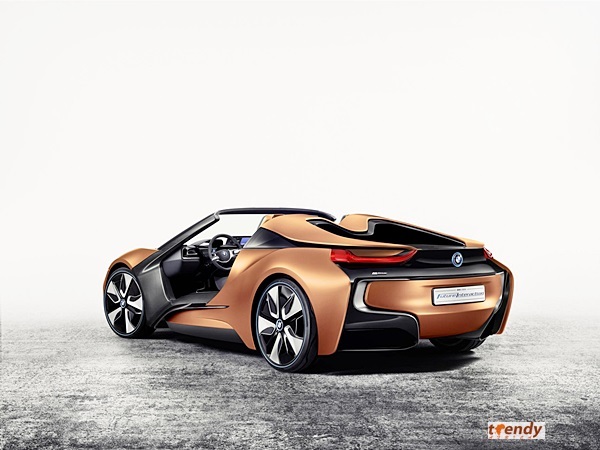 BMW i Vision Future Interaction with high-resolution vehicle displays whose content adjusts to match the situation; function control with gestures, touch-sensitive surfaces and voice control. Information for the driver through head-up display: instrument cluster with three-dimensional display and 21-inch panorama display. BMW i Vision Future Interaction with world premiere of AirTouch: sensors recognise movements made with the hand and also depth movements. This means that the panorama display can be operated like a touchscreen without having to actually touch the surface. Reduction of control elements to a minimum: Three drive modes – Pure Drive (driving yourself), Assist (assistance systems intervene actively) and Auto Mode (highly automated operation) – selectable at the steering wheel. Internet of Things stands for even more comprehensive networking which facilitates new services for more efficiency and comfort.